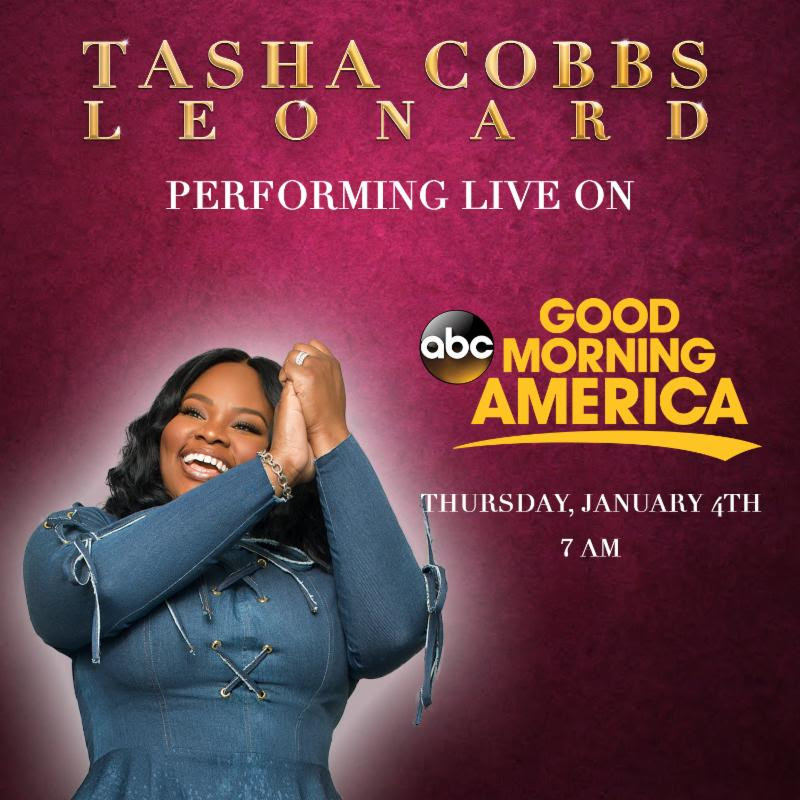 Did you miss Tasha Cobbs Leonard’s performance on “Good Morning America?” Well you’re in luck, we have it here! Motown Gospel recording artist Tasha Cobbs Leonard kicked off the New Year with a special performance of her popular hit song “I’m Getting Ready” on Good Morning America on Thursday, January 4, 2018. “I’m Getting Ready” has been generating buzz since Cobbs Leonard’s smash performance on BET’s Black Girls Rock and has continued to impact as fans have connected to its powerful and energizing lyrics. Cobbs Leonard’s inclusion of Nicki Minaj on the song has continued to increase Tasha’s reach across all audiences. Cobbs Leonard continues to celebrate the critical and consumer success of her 2017 album HEART. PASSION. PURSUIT. In addition to being the top-selling new album of the year, HEART. PASSION. PURSUIT. earned Tasha an NAACP Image Award nomination for Outstanding Gospel/Christian Album and was named #1 Top Gospel Album (Artists) on the Billboard Year-End Chart review, after only four months in the market. Cobbs Leonard was also named the Top Gospel Streaming Artist of the year, having set a record for the most streams in one week in gospel music history. This entry was posted in Gospel, Reviews and tagged Good Morning America, I'm Getting Ready, Tasha Cobbs Leonard by Kris Patrick. Bookmark the permalink.